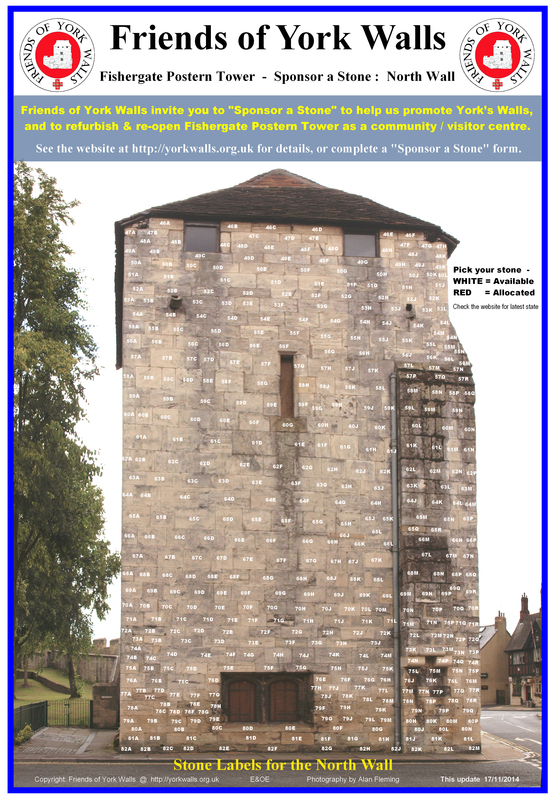 Fishergate Postern Tower will be open for the Viking Festival on 21st & 22nd February 2015 from 10am to 4pm. FoYW guided tours, book & maps sales, sponsor a stone. See you there ? 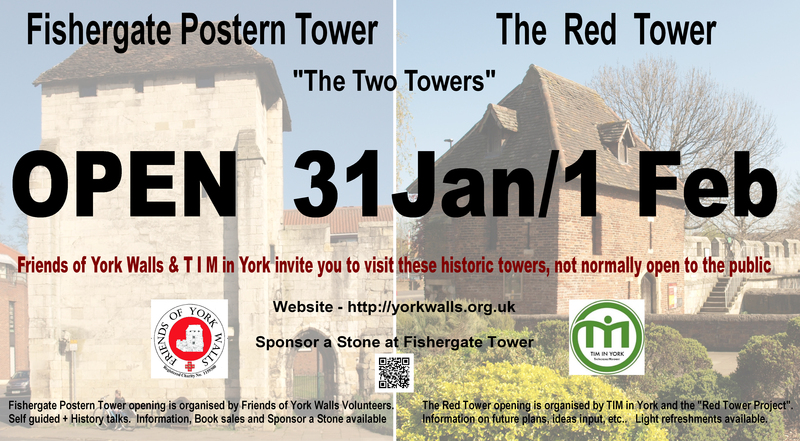 On Saturday 31st January and Sunday 1st February 2015 both Fishergate Postern Tower and Red Tower will be open to the public from 10am to 4pm (3pm if bad weather) as part of the annual York Residents Weekend. 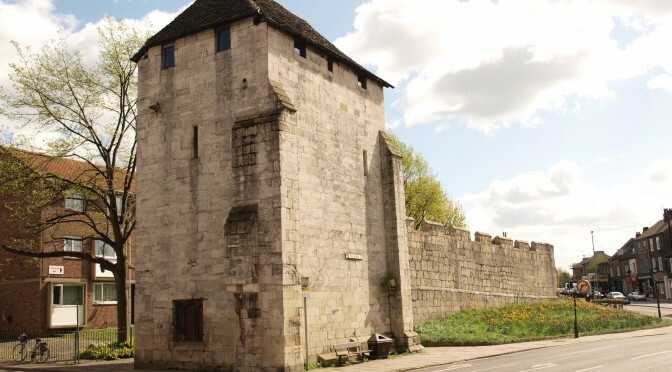 No need to book and entry is free – but donations to Friends of York Walls and tower repairs are welcome. Fishergate Postern Tower, at the end of Piccadilly, is a 4 storey stone tower built around 1504 and has a quirky narrow spiral staircase linking the interesting rooms and with views of the roof structure. The FPT opening will be staffed by Friends of York Walls volunteers who will be on hand to help, and to tell you about the history of the tower. Copies of the FoYW book “A Walking Guide to York’s City Walls” will be on sale. You can also “Sponsor a Stone” on either the West Wall, or now on the North Wall, to raise funds for the restoration of and repairs to the tower. Unfortunately access beyond the ground floor is not suitable for the disabled. This year the Friends of York Walls have passed the organisation of The Red Tower opening to the new TIM in York “Red Tower Project” group volunteers who will be available to explain their vision for opening Red Tower to public use. Ultimately, their ambition is for the building to be brought into use by and for the local community, and thus the group are seeking those interested in putting forward ideas, moulding the project and getting involved in its development. Light refreshments should be available during opening hours. If you are interested in the history of Red Tower there will also be a FoYW display and a FoYW representative available. Easy access to the ground floor. First floor viewable from a platform. 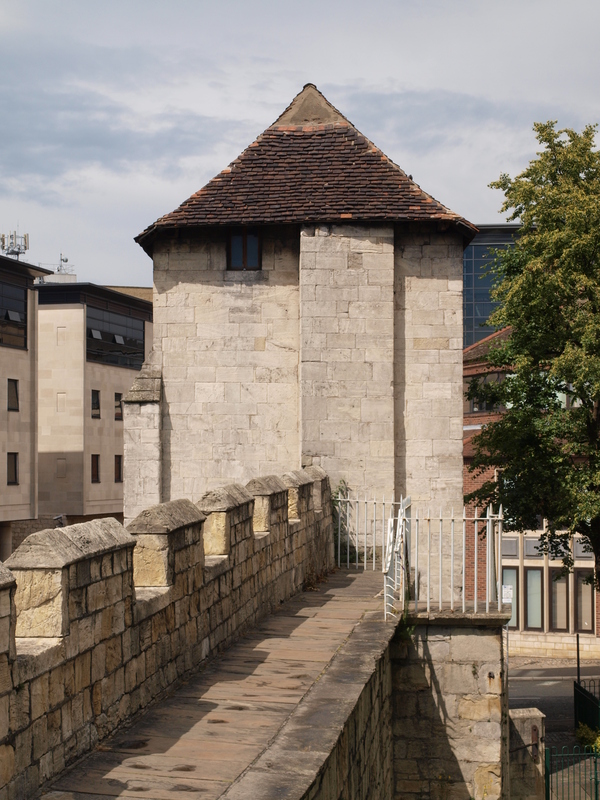 Fishergate Postern Tower will be open by Friends of York Walls Volunteers on the following 2015 dates, from 10am to 4pm. The Friends of York Walls wish “Seasons Greetings” to all our Members, Volunteers, Friends and Supporters. 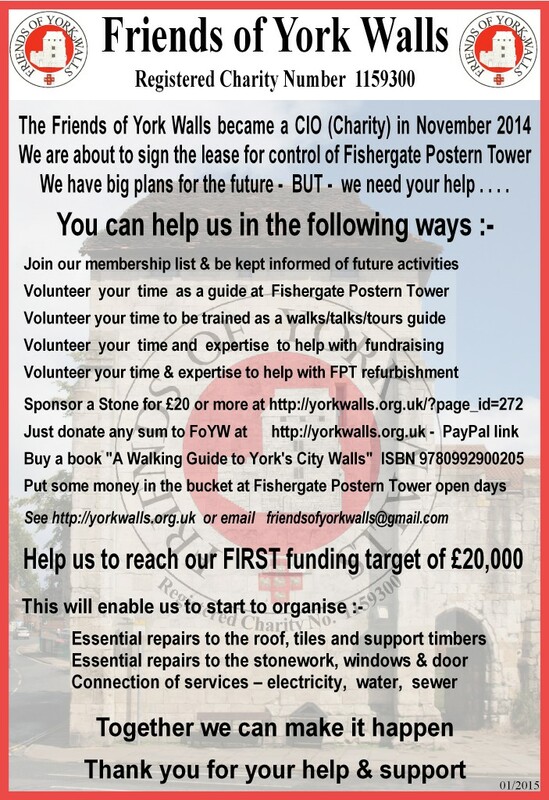 Why not give someone in your life a Unique Christmas Gift and help the Friends of York Walls to raise funds to promote York’s City Walls and to refurbish and open Fishergate Postern Tower. You can now on-line Sponsor a Stone for £20 (or more) on the new North Wall or the existing West Wall. Ideal as a gift for someone, or for a significant event or person in your life. The scheme can be used to observe a special occasion such as a birthday, a christening, a wedding, as a memorial or simply just to convey a message.